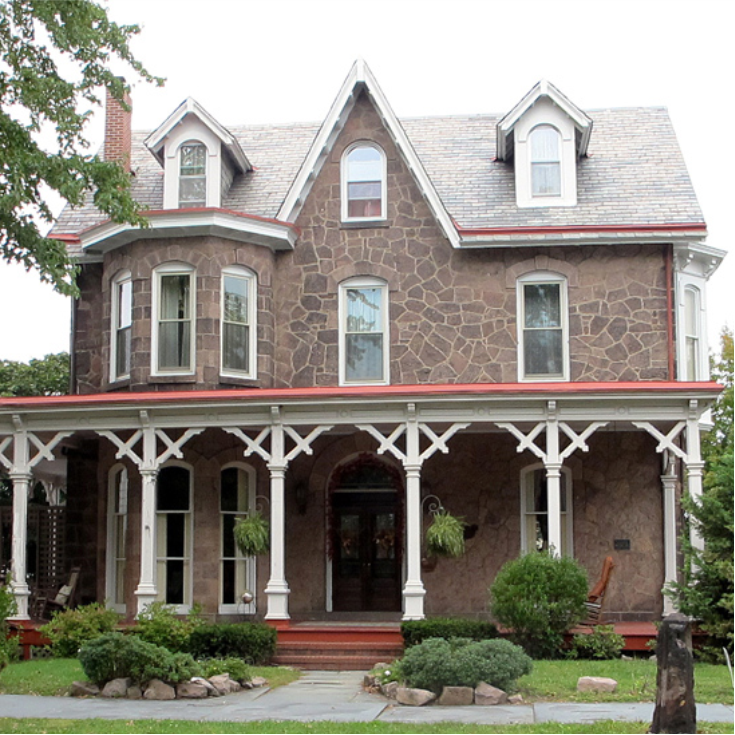 The spacious stone home is Victorian Gothic in style. 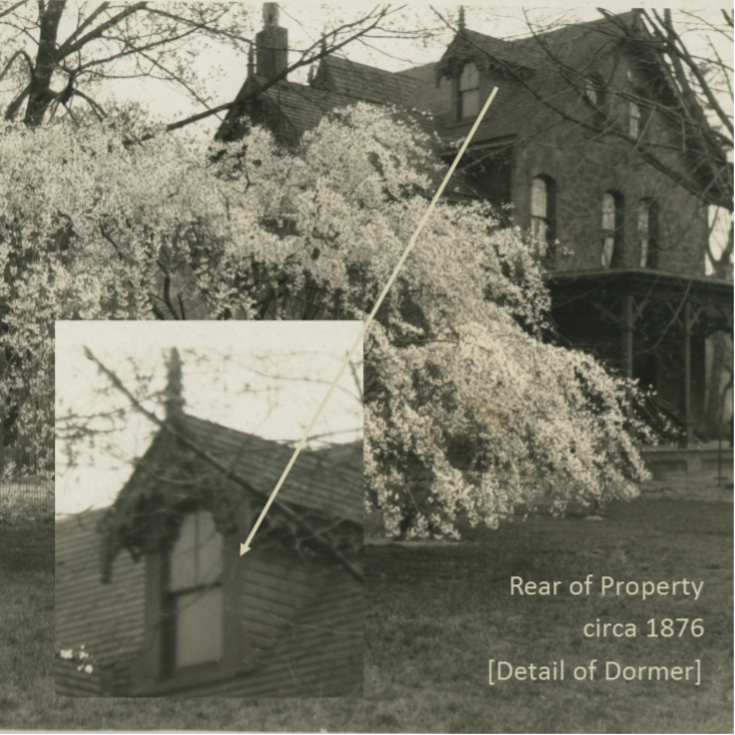 It was built circa 1876 on land purchased by John Dorrance II. 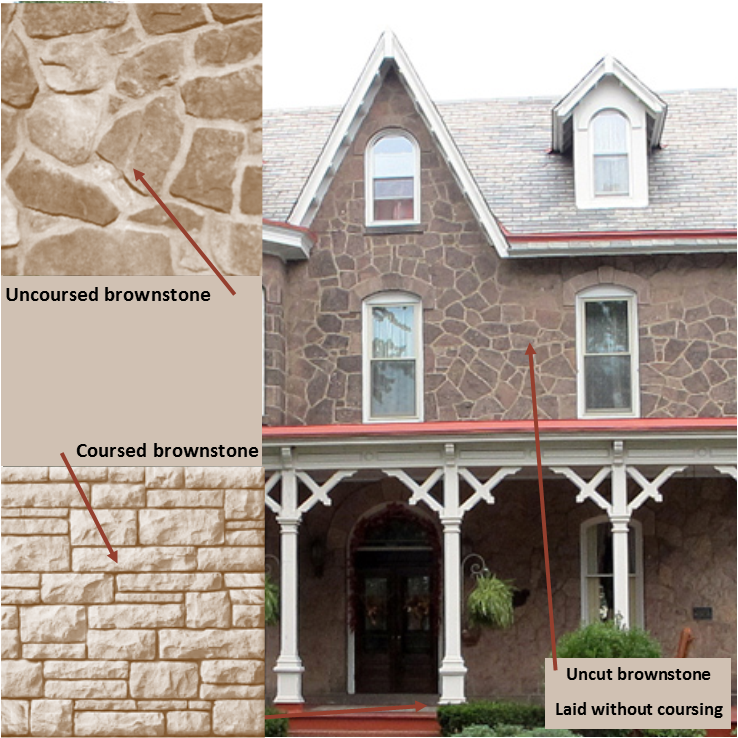 The brownstone is uncut and laid without coursing. The front façade features a wraparound porch, cross gabled roof with gabled dormers, and a projecting two-story bay at the south end.